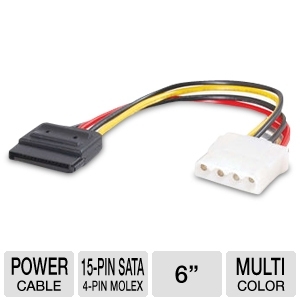 Ensure proper and consistent connection with your hard drive or other SATA devices with the Cables to Go 10150 15-pin Serial ATA to LP4 Power Cable. 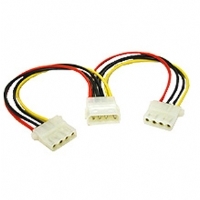 This cable features its female 15-Pin SATA on its one end and female 4-Pin Molex on the other end for a guaranteed stable connection on your system. For unparalleled flow of power on your SATA devices, buy the Cables to Go 10150 15-pin Serial ATA to LP4 Power Cable now.